When I tell people I research Venezuelan literature, the most common response is ‘I don’t know any Venezuelan literature, is it actually any good?’ Unfortunately, potential readers just don’t know where to get access to Venezuelan literature, especially as very few books make it into the UK market. Thankfully, the Internet is making literature much more widely available across borders, giving some great writing the chance to find the audience it deserves. I wanted to share with you some of the best places online to discover Venezuelan literature. Ficción Breve Venezolana is the ultimate resource for anyone interested in Venezuelan literature. Founded in 1999 by writer Hector Torres, whose Caracas Muerde was one of the biggest successes of 2012, and currently run by Lennis Rojas, the site hosts not only the short stories from which it takes its name, but extracts from novels old and new, non-fiction and opinion pieces, news, interviews and useful links. The site is updated with new stories almost every day, and is so respected by Venezuelan authors that some even chose to publish sneak peeks of their upcoming works there, as Eduardo Sánchez Rugeles did with his latest novel Jezabel. Another great introduction to contemporary fiction from Venezuela is the Voices from the Venezuelan City project by Palabras Errantes. Created by Cambridge University students, lead by Cherilyn Elston, Palabras Errantes aims to raise awareness of contemporary Latin American literature in the UK by publishing collections of short stories and book extracts in both English translation and the original Spanish. The Venezuelan edition, edited by Rebecca Jarman, brings together established and emerging voices, and looks beyond the political divisions that plague the country to focus on very human relationships, frailty and failings. One of the translators involved in the project, Guillermo Parra, is also one of the most restless, determined promoters of Venezuelan literature abroad. He has run his blog Venepoetics for over ten years now, providing translations (particularly of poet José Antonio Ramos Sucre), book synopses and interviews in English. If all that whets your appetite for whole books, you should visit Monte Ávila for a diverse range of eBooks to download for free. Among non-fiction texts about 21st century socialism, the State publishing house offers a literary cross-section of the last century, from classics like Teresa de la Parra’s Las memorias de Mamá Blanca (1929) to Raymond Nedeljkovic’s brilliant 2010 short story collection Los impresentables. 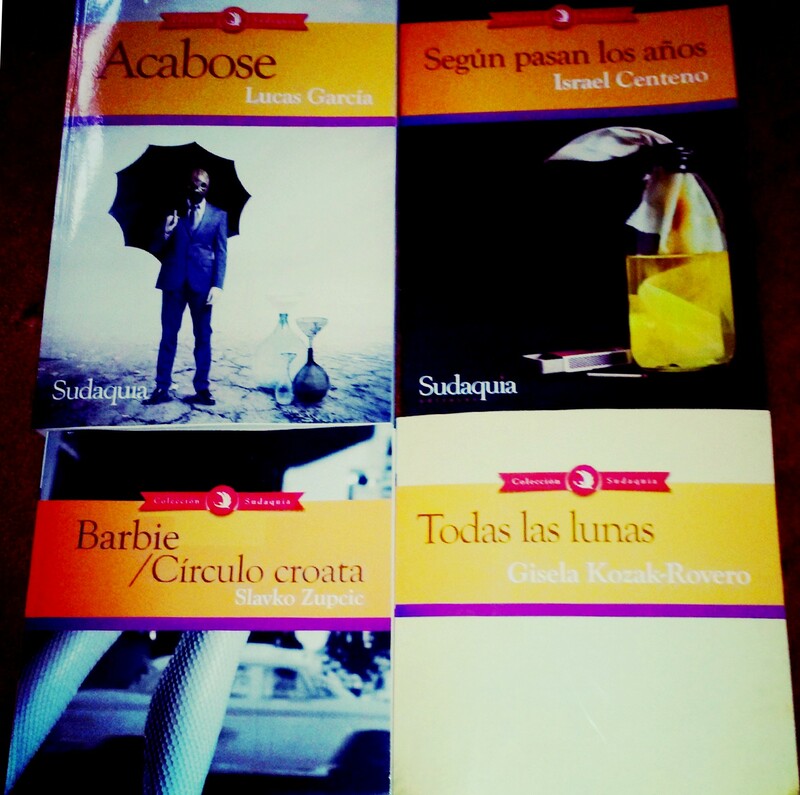 If you have slightly more of a budget, I can’t recommend Sudaquía Editores enough. The New York based company began a few years ago, but their catalogue is increasing exponentially and they have ambitious plans for 2014. Their recognition of contemporary Venezuelan writers (as the predominance of Venezuelans among a collection that also includes Chileans, Colombians, Argentineans, Mexicans and even a writer from Panama) is an absolute miracle, as for the first time UK readers are finally able to get hold of Venezuelan books easily and cheaply. Sudaquia sell via Amazon UK, who print the books for them, meaning extortionate delivery costs and endless waits are a thing of the past. They have already published some of the most critically acclaimed contemporary authors – Slavko Zupcic, Gisela Kozak-Rovero, Eduardo Sánchez Rugeles, Israel Centeno, to name but a few – and are constantly finding new gems. Among 2014’s output will be one of my favourite books, not just by a Venezuelan but in general, Liliana Lara’s Los jardines de Salomón. Finally, I hope you’ll forgive some shameless self-promotion. In an attempt to help the writers I love find an audience in the UK, I started Venezuelan Literature. The site – which is still very much in the early stages of development and needs a lot more work than my full-time PhD allows – features news, interviews, profiles of authors, and book summaries. I also believe translation is fundamental in building up an international audience, so, as well as posting my own translations, I’m trying to create a list of all published translations, with links to where to buy them. I hope you find some enjoyable and inspiring reading through these sources. There is some really captivating, beautiful, funny, daring and provocative literature out there just waiting for readers. Katie Brown is studying for a PhD in Contemporary Venezuelan Fiction at King’s College, London. She blogs about literature, languages, and all things cultural at katiebrownonculture.blogspot.com. This entry was posted in 21st century, latin america, latin american literature, translation on 14/02/2014 by ACLAIIR.